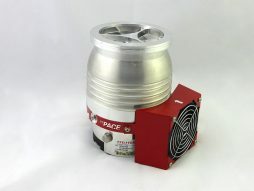 Turbo pump controller with integrated power supply designed to operate the hipace 10 and hipace 80 pumps. 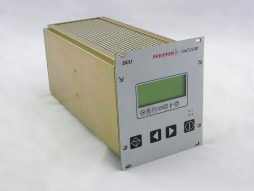 Refurbished Pfeiffer DCU-200 power supply & display control unit is an electronic operating unit for several Pfeiffer Balzers turbopumps. It is in absolute new state and available from stock with warranty. 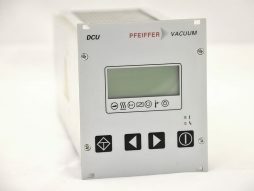 The Display Control Unit DCU200 is an operating unit for PFEIFFER drive units. It enables control over all the main parameters of the unit. Additionally, the connection of a vacuum gauge is possible. 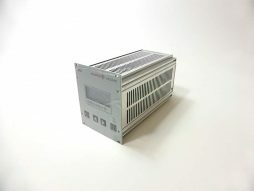 It often connects to the Pfeiffer TC-600 drive unit for turbo pumps. 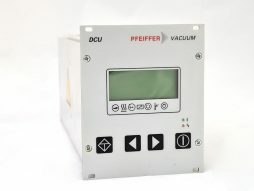 Pfeiffer HiPace 300 turbomolecular high vacuum pump with DN100ISO-K flange. This pump is equipped with onboard TC110 controller. Pump is fully refurbished with original OEM parts and offers as new performance. 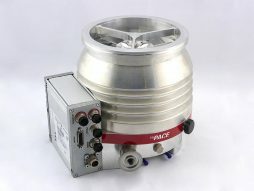 Pfeiffer HiPace 700 turbomolecular high vacuum pump with DN160ISO-K flange. This pump is equipped with onboard TC400 controller.